Following the lead of Kraft, Nestlé, Panera, Subway, Pizza Hut and Taco Bell and other food-focused companies that have recently decided to ditch artificial ingredients, General Mills says it’s getting rid of artificial flavors and colors from all of its cereal lines. Say goodbye to Red 40, Yellow 6, Blue 1 and other artificial dyes common in some cereals, especially those sweet and brightly colored cereals aimed at kids. Instead, General Mills says it will use colors made from spices and fruit and vegetable concentrates. The company announced today that it’ll start the process by first removing all the artificial stuff from Trix, Cocoa Puffs and Reese’s Puffs by the end of the year. Murphy says more than 60% of the company’s cereals are already free of artificial colors or flavors, with 90% of its cereals expected to be free of such ingredients by the end of 2016. The rest will be knocked off in 2017. It’s going to take time, you see, to rejigger sugary cereals like Lucky Charms and Count Chocula, as marshmallows are hard to reformulate without making them not only taste wrong but also look weird. “The look is important,” Murphy said. “People taste with their eyes sometimes.” He adds that though the overhaul will mostly be “imperceptible” to customers, some brightly colored cereals might not be so shiny anymore. And Trix specifically will look different — it won’t have green and blue puffs anymore, as it’s tough to make blue food colors with natural ingredients. Without blue, it’s impossible to create green. 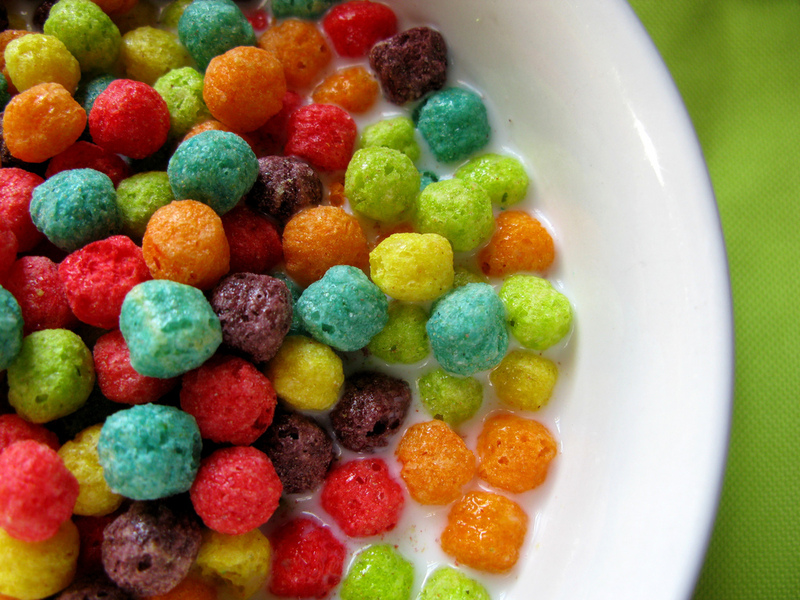 “Trix is known for color, so this hit Trix pretty hard,” said Kate Gallagher, a General Mills cereal developer. Natural ingredients the company tried to get those same colors didn’t work out so well.